In deze post som ik een paar commando’s op die je kunt gebruiken in het Service Console van ESX 3.0.x. HOSTD HOSTD is de vervanger van de vmware-serverd daemon. VPXA VPXA is de vervanger van de vmware-ccagent daemon. -s|–speed <speed> Set the speed of this NIC to one of 10/100/1000/10000. Requires a NIC parameter. -d|–duplex <duplex> Set the duplex of this NIC to one of ‘full’ or ‘half’. Requires a NIC parameter. -a|–auto Set speed and duplexity automatically. Requires a NIC parameter. -l|–list Print the list of NICs and their settings. esxcfg-firewall -q kun je zien welke services ingeschakeld zijn. esxcfg-firewall -s kun je de volgende services inschakellen. Let op! deze service benamingen zijn cAsE sEnSiTiVe. esxcfg-firewall -e kun je een specifieke service inschakellen. esxcfg-firewall -d kun je een specifieke service uitschakellen. ESXCFG-RESGRP ESXCFG-RESGRP is nieuw binnen VMware ESX 3.0.x. Hiermee kun je Resource groups beheren. file (FOR INTERNAL USE ONLY). ESXCFG-NAS ESXCFG-NAS is nieuw binnen VMware ESX 3.0.x. Hiermee kun je een NAS aankopellen en beheren. 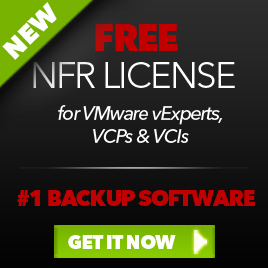 -a|–add Add a new NAS filesystem to /vmfs volumes. Requires –host and –share options. -o|–host <host> Set the host name or ip address for a NAS mount. -s|–share <share> Set the name of the NAS share on the remote system. -d|–delete Unmount and delete a filesystem. -l|–list List the currently mounted NAS file systems. -r|–restore Restore all NAS mounts from the configuration file. (FOR INTERNAL USE ONLY). ESXCFG-ROUTE ESXCFG-ROUTE is nieuw binnen VMware ESX 3.0.x. Hiermee kun je default route instellen voor de vmkernel. Met het volgende commando kun je het e.e.a. configureren. esxcfg-route [ip-address] stelt de default gateway in voor de vmkernel. ESXCFG-VMKNIC ESXCFG-VMKNIC is nieuw binnen VMware ESX 3.0.x. Hiermee kun je het ip address instellen voor de vmkernel. requires IP parameters and portgroup name. -d|–del Delete VMkernel NIC on given portgroup. -e|–enable Enable the given NIC if disabled. -D|–disable Disable the given NIC if enabled. -i|–ip <X.X.X.X> The IP address for this VMkernel NIC. –netmask option be given in same command. -n|–netmask <X.X.X.X> The IP netmask for this VMkernel NIC. option be given in the same command. Configuration file (FOR INTERNAL USE ONLY). ESXCFG-SWISCSI ESXCFG-SWISCSI is nieuw binnen VMware ESX 3.0.x. Hiermee kun je de iSCSI Software Initiator configureren. 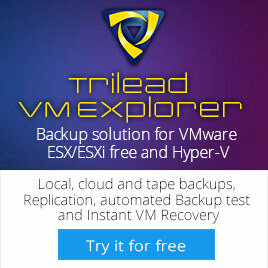 This entry was posted in VMware and tagged ESX 3.0.x, VMware on August 2, 2007 by afokkema.